Is Feedback Just Thinly Disguised Criticism? Topic: Is It Criticism or Feedback? The other morning my husband and I overslept and woke up with a fright. I was lecturing and he was out of town for the day, so neither one of us could afford to arrive at our destinations late. We hurried out the house and left it in a bit of a mess – something I hate doing. I was first to arrive home. When I opened the front door I was confronted with the untidiness. As I walked down the passage to my study and then to my bedroom, I couldn’t help noticing everything that was out of place. Before long, I was thoroughly irritated with my less-than-perfect house, and with my still absent husband, too. I’d started seeing everything that he was normally responsible for that he hadn’t taken care of. In my head, I started talking to him in a very critical voice, telling him about everything he hadn’t done that he should have done. The longer the “conversation” continued, the more wrongs I identified. At the same time I was telling myself that it wasn’t about us being late that morning, but that he simply didn’t care about the state of the house. I was now in full-blown Critical Angry Wife mode and ready to spew a stream of criticism when he got home. I love cooking and, as I prepared dinner, I gradually calmed down. Loving Kind Wife appeared in my head and started reasoning with Critical Angry Wife. Have I not learned from past experience that spewing criticism only makes us argue? Yes, I have. And don’t I know that simply giving him feedback nicely about the effect of a bigger workload on me makes him jump to action? Yes, I do. So why would I want to go about it in a way that will only make him defensive and uncooperative? I don’t know. Perhaps it would satisfy me just for a moment… but then the damage would be done. Fortunately I came to my senses before he arrived home. Suffice to say, feedback was given and action was taken. And to think I almost ruined a perfectly good evening with my tongue! Do You Hear Feedback or Criticism at Work? In our recent Twitter poll we asked people if they received feedback or criticism when learning a new skill at work. While 42 percent of people said they received feedback, 39 percent felt that what they received was disguised criticism. Is criticism the same thing as feedback. Why? How does feedback make you feel? How can you ensure that you don’t confuse the feedback you receive, with criticism? When giving feedback, how can you make sure it doesn’t sound like criticism? What can you do to make receiving criticism from others more bearable? Why do you think people criticize others? How can you make the shift from criticizing to giving feedback? To help you prepare for the chat, we’ve compiled a list of resources for you to browse. At Mind Tools, we like hearing from people all over the globe. So we invite you to share your thoughts and experiences around feedback and criticism in the #MTtalk chat this Friday at 1pm EST (6pm GMT). Remember, we feature great participant responses right here on our blog every week! Follow us on Twitter to make sure you don’t miss out on any of the action this Friday! We’ll be tweeting out questions during our hour-long chat. 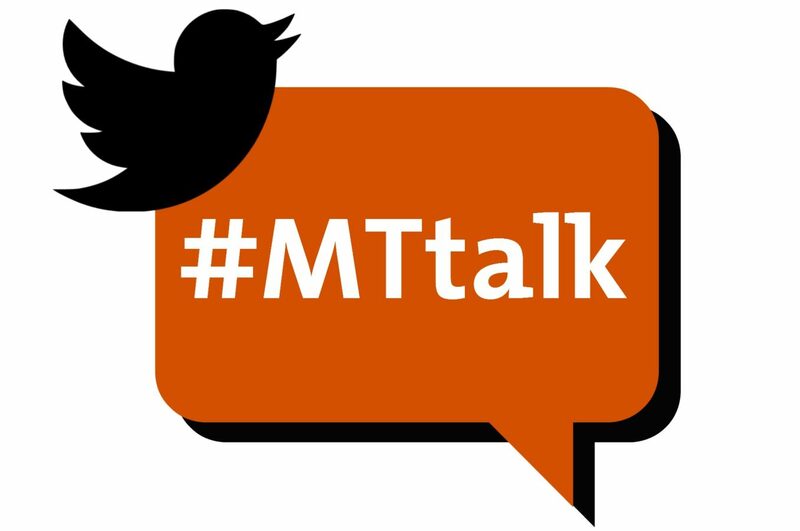 To participate in the chat, type #MTtalk in the Twitter search function. Then, click on “All Tweets” and you’ll be able to follow the live chat feed. You can join the chat by using the hashtag #MTtalk in your responses.